Mercedes-Benz is working on a redesign for its GLS (formerly the GL-Class), and this time around there will be an ultra-luxurious Mercedes-Maybach model to challenge the Bentley Bentayga, Rolls-Royce Cullinan and potentially something from Aston Martin’s rived Lagonda brand. 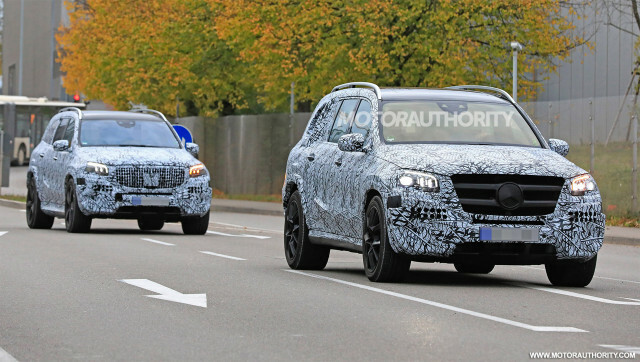 Talk of the Maybach GLS dates back to 2014, and now the first prototypes have surfaced. They were spotted recently exiting Mercedes’ main test center in Germany. The Maybach GLS will share its body and lights with the regular GLS but will feature a unique grille with vertical slats. 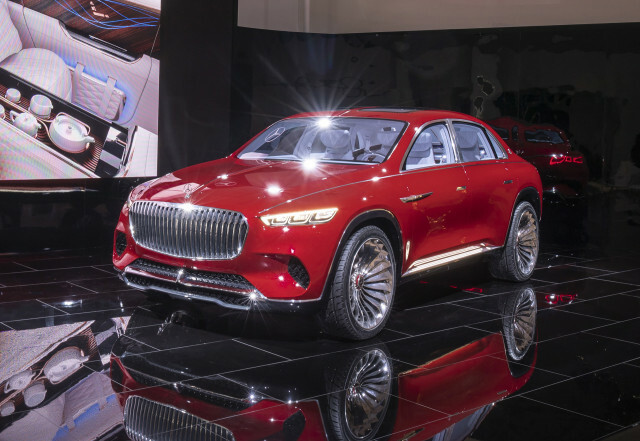 The Maybach Ultimate Luxury concept (shown below) unveiled at the 2018 Beijing auto show hinted at the design. 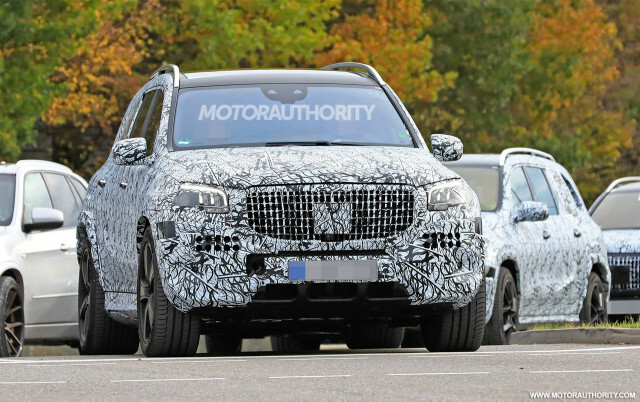 A prototype for the regular Mercedes GLS can be seen in one of the shots, providing a contrast between the two designs. We should also see Maybach logos attached to the side pillars at the rear, and we wouldn’t be surprised if buyers will be able to choose a two-tone paint scheme, an option already made available on the Maybach S-Class. As for the interior, don’t be surprised if the Maybach GLS is offered with an extra-spacious four-seat option. Underpinning the redesigned Mercedes GLS and this Maybach variant is a stretched version of Mercedes’ MHA platform for SUVs sized from the GLC up (excluding the G-Class). The platform is closely related to Mercedes’ MRA platform found in most of the automaker’s sedans and coupes and made its debut in the GLC. It’s too early to talk powertrains but expect a 4.0-liter twin-turbocharged V-8 to be the core unit in the Maybach. A plug-in hybrid option should also be available. The redesigned Mercedes GLS is expected to debut this month at the 2018 Los Angeles auto show as a 2020 model. The Maybach variant will likely follow next year as a 2021 model. Production of all GLS variants will be handled at Mercedes’ plant in Tuscaloosa, Alabama, where the current GLS is built. The revival of Maybach as a Mercedes sub-brand has been a runaway success. For example, during the course of 2017 one out of every 10 S-Classes sold was a Maybach, with China, Russia and the United States gobbling up most of the cars. It’s entirely possible the rate will be even higher for the GLS. The success has given Mercedes the confidence to eventually return to standalone models for Maybach. Note, the GLS won’t be the first SUV to receive the Maybach treatment. That honor goes to the Maybach G650 Landaulet launched last year and limited to just 99 units.